Need Professional Data Recovery Services? 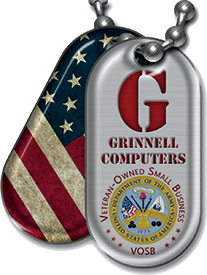 Grinnell Computers, located in Beaumont, Texas, knows how valuable your data is to your business. We provide Data Recovery Services & Backup locally and offsite for added protection and peace of mind. We will help protect your network from any threats and keep your systems running smooth. Grinnell Computers ensures the data and systems for businesses are backed up so no matter what happens, you won’t lose important information. We protect your business from outside attacks and internal abuse of your network by providing a layered defense protecting all your data.